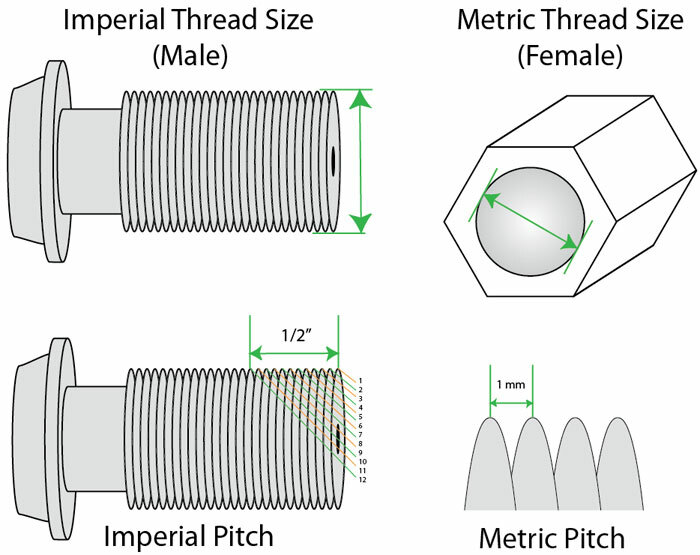 Determine the maximum torque according to bolt (nut) size and grade. Always consult the manufacturers instructions or engineering recommendations when making bolted connections. Important: the hexagon sizes shown in the tables should be used as a guide only. Individual sizes should be checked before specifying any equipment. Use only Heavy Duty Impact Sockets for power driven torquing equipment, according to ISO2725 and ISO1174, DIN3129 and DIN3121 or ASME-B107.2/1995. Stainless Steel Imperial Thread Nuts. Imperial Stainless Steel Hexagon Full Nuts with UNC and UNF Threads.